At Mapperley Alternative Health Centre we specialise in Traditional Chinese Medicine, a combination of Acupuncture and Chinese Herbal Medicine. Acupuncture and Chinese Medicine are practices that go back over thousands of years and in fact four generations of my family have followed this profession. My own personal studies included conventional medicine as well as traditional remedies and I now specialise in what is called Traditional Chinese Medicine – the combined practice of Acupuncture and Chinese Herbal Medicine. 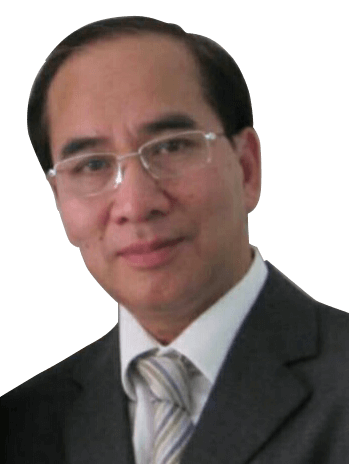 I qualified in 1975 in China and have been practicing medicine ever since, working in hospital general practice for 3 years before coming to the UK in 1980. Chinese Medicine works differently to western medicine – we treat the cause of the problem, not the symptoms – and every case and person is different. Call us to find out what we can do for you and book a consultation. Our body has an amazing ability to look after itself, but sometimes it needs our help and that’s where acupuncture can play its part. Acupuncture works by helping the body’s own natural healing systems, stimulating or controlling energy flows to help the body heal itself. Within our body we have channels through which energy flows. Acupuncture stimulates or controls these energy flows to help the body heal itself. It’s so simple. We also use Chinese herbal medicine to further assist this process. Throughout our body we have 12 main channels through which energy (Qi – pronounced Chi) flows – these are called meridians. These meridians control the healthy function of our main organs: lungs, heart, stomach, kidney, liver etc. We use acupuncture to stimulate under active meridians and similarly to control overactive ones. This in turn helps to keep our main organs, and our whole body, healthy. Chinese herbal medicine can help as well, acting in the same way on our meridians. There are over 1,000 ingredients, of which over 100 are commonly used. All of them are natural products and we use them in preparations taken as tablets or a powder which is then mixed with warm water. Traditional Chinese Medicine – the combination of acupuncture and Chinese herbal medicine – is the oldest continuously practiced medical system in the world and is used by one third of the world’s population as a primary health care system. Acupuncture not only improves your physiological health, but your mental health and wellbeing. This makes acupuncture effective for a wide range of different conditions including headaches, insomnia, asthma, eczema and other skin conditions, trapped nerve, sciatica, lower back pain, arthritis, infertility, IBS, heavy periods, depression etc. Acupuncture treats the root cause of our condition. So for example, conventional medicine may treat a headache by numbing the pain. However we believe that headaches can be caused by a deficiency in the blood flowing into the brain. Treat this and the headache goes away – no pain killers needed! We treated the cause, not the symptom. The benefits of traditional acupuncture have been widely researched. 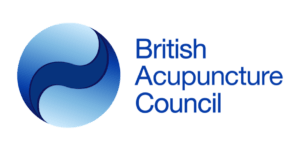 A World Health Organisation report found acupuncture effective for over 90 different symptoms. It’s quite often the case that our patients have already been receiving conventional treatments for their condition. In some cases the problems are deep rooted or even acute. We will provide you with advice on how to proceed, working in consultation with your current doctor where this is required. We cover all aspects of medical conditions, call us to talk through your symptoms and see how we can help. Unfortunately we do not operate an emergency service outside our opening hours. Bus routes: From the city centre, Bus no. 45 goes direct to Woodborough Road (every 10 minutes). Alight at Ransom Road top. The journey takes approximately 11 minutes. The practice is located directly opposite to The Duke of Cambridge pub. By car: From the Victoria Centre (A60 Mansfield Road), head north on A60 to the traffic lights, turning right onto B684 Woodborough Road. Continue for 1.3 miles, and the clinic will be situated on the left hand side, opposite to the Duke of Cambridge pub. There is a free private car park to the front of the clinic for our patients.